Golf day Entertainer. Corporate Golf Day Entertainment. Golf day events. We have an array of corporate golf day entertainers. From magicians and comedians to musicians and comedy hypnotists. We also book top class celebrity entertainment. A corporate golf day event is often rated by the quality of it's entertainment. Call the entertainment specialists who have been in the entertainment industry for over a decade. We will find the perfect entertainment for your golf day event. We have golf day buskers who give more personalised entertainment, and then we have golf day stage entertainers. Whether you want a close up magician who mingles and entertains in the crowd, or a stage magician. A corporate golf day magician will create magical moments with your clients, and entertain them beyond belief. At your next golf day function, book a golf day comedian. Our comedians are veterans at golf day entertainment. They know how to deliver classy comedy, and are at the top of their game. 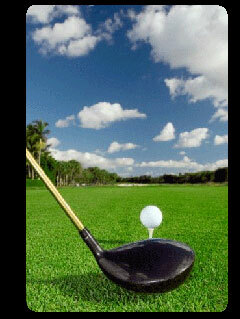 We have golf day entertainers in the following major cities of South Africa. Gauteng Johannesburg, Pretoria, Boksburg, Benoni, Krugersdorp, Roodepoort, Alberton, Randburg, Kempton Park, Brakpan, Sandton, Midrand, Centurion, Vereeniging, Vanderbijlpark, Sasolburg. North West Rustenburg, Bela Bela (Warmbaths). Book a corporate golf Day entertainer Now.